This month, SICTIC has organised 3 Investor Day events in Zurich, Geneva and Liechtenstein on the 21st, 25th and 27th September respectively. SICTIC Investor Day is a match making event where tech startups pitch to find experienced investors and supporters. For each of the three events the jury has selected the startups to pitch before the investors. 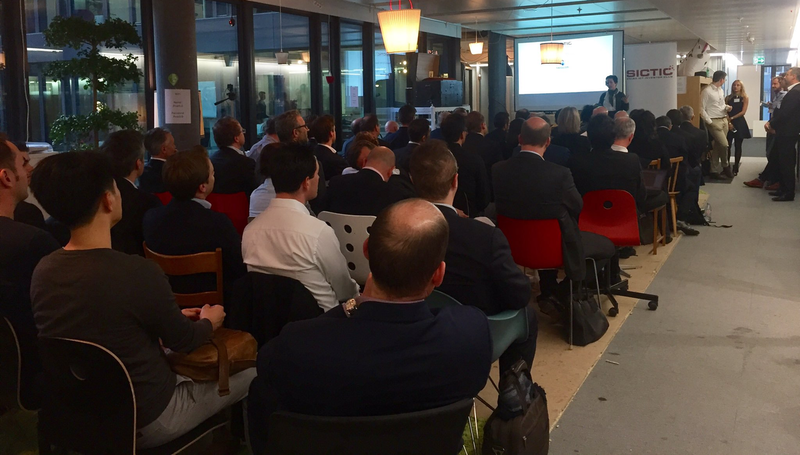 Every year, the Swiss ICT Investor Club (SICTIC) organises various events dedicated to connecting early and later stage technology based startups seeking financing with investors. At three upcoming events, 19 different startups – eight in Zurich, eight in Geneva and six in Liechtenstein – will have the opportunity to present in front of an audience comprising of investors and industry players. guuru: Enables companies to outsource live chat customer support to the most competent customers thereby saving up to 50% costs. WealthArc: offers solution for asset consolidation, digital communication channel and portfolio analytics. Annanow: digitally organizes last mile delivery processes. Carbon Delta: computes the future impact of climate change on the performance of listed stock companies. TOBO: Digital wholesales 2.0 Ominchannel which sees Retailers as windows for E-brands. faceYOU: Is the full-service provider for professional profile videos. CREAL3D: make a light-field projector. guuru: a cloud based solution that enables company's expert customers to provide on-demand 24/7 live chat support. WealthArc: The next generation investment management platform for external asset managers and their HNW clients offering asset consolidation, digital communication channel and portfolio analytics. OneDoc: offers a platform to find a doctor, dentist or therapist and book an appointment online. Securaxis: provides security and safety forecast for organizations and individuals to anticipate threats using data science. IMVERSE: EPFL spin-off developing software and providing services for photorealistic mixed reality content creation. Deep Cube: focuses on medical Imaging applied to Ophalmology, Biomarkers and Oncology. WealthArc: offers next generation investment management platform for asset consolidation, digital communication channel and portfolio analytics. Sonect: converts anyone into a "Virtual ATM"
eBankingPayment: helps e-commerces and non-profits collect credit transfers payments directly and instantly on their bank account payment cards fees. Trade Invest: A Platform to match and assist Commodity and Trade Finance Syndicators (Sellers) and Trade Finance Investors (Buyers).